That didn't have the purple case, did it? 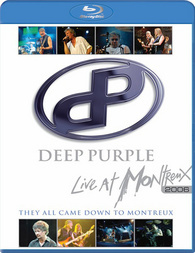 I just spent over twice that on the remastered Purple Rain to swap out the case to my Deep Purple concert Blu! Every copy of Graffiti Bridge I have seen in the displays had a purple case. The Wacken one? Clever! It did! That purple case is so sweet I almost picked it up despite having no interest in Graffiti Bridge. Didn't even enjoy Purple Rain that much. Saw a couple of Clint Eastwood titles (City Heat and True Crime) with orange and blue Instawatch/Vudu stickers, they say good until the end of the year. Are there Vudu codes behind the stickers? I shook them and there are no sheets for digital copies inside. I got mine from Dollar General. Yes, there are DCs on the back of the stickers. I redeemed them in Vudu and they show as MA compatible, so they could probably be redeemed there just as easily, not that it matters. I check my nearby 7-11 about once a month. I just checked yesterday. My 7-11 has not gotten a single new Blu-ray since January or earlier, except for Fast and the Furious 6 movie collection for $10. The Big Lots 7 movie collection for the same price was a better deal. I'm thinking I should go maybe once every 2 months. Even when people post new Blu-rays spotted, mine doesn't seem to get them. Clearly not all 7-11's are equal, just like Big Lots and Dollar Tree. Some get new stuff. Others remain stagnant month after month. Found Clash of the Titans steelbook for 4.99. There was 2 of them there, only got 1 though. See what you mean, had to put on my puffy script decoder ring to figure them out, LMAO! My 7/11s started carrying movies again! Although the selection is fairly anemic. I did find this double Blu for $2.99. Last edited by HenryHill; 04-22-2019 at 09:18 PM.